Legal Analysts are hired by big companies to analyze their legal proceedings before getting into any business contract. The job requires specialized degree qualification in Law, especially Company Law. Their main job role is to assist the management in drafting and reviewing legal documents including contracts, legal memos, litigation filings, and legal transactions. As a legal analyst, a great volume of responsibility is expected because the company’s entire reputation rests on your legal approach. If you are a qualified legal practitioner, you are required to showcase skills of extensive research, analytical thinking, self-decision making, team player, and ability to perform in negative situations. The career of Legal Analyst is highly rewarding to give good recognition and income with many incentives. 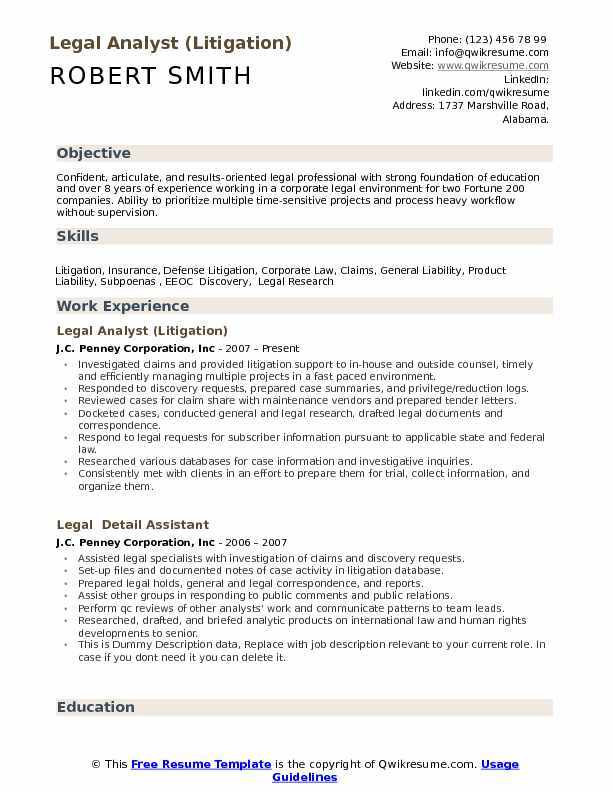 We have shared a best Legal Analyst Resume that can help you in drafting a professional one of your own. Summary : Experienced Paralegal with excellent project management and client relations skills seeking a position within a corporate environment. judgment and decision-making abilities, and a high level of confidentiality. Uphold the ethical standards of the legal profession. Report directly to the general counsel and senior director of litigation and employment. Work on projects with all four attorneys in the legal department. Research federal and state franchise laws, including registration requirements and relationship laws. File( FDD) or seek exemptions from filing with 16 states that regulate franchising, including working closely with state securities and regulatory divisions with their review of our document. Ensuring that Denny's is able to sell franchises in the registration states. Researched Canadian franchise laws and prepared disclosure document for sale of franchises in Canada. Conduct annual sales person training for denny's franchise sales team. Review and approve changes to denny's brand standards manual (operations manual for denny's restaurants). Manage franchise litigation and supervised litigation budgets, keeping costs down while protecting the denny's brand. 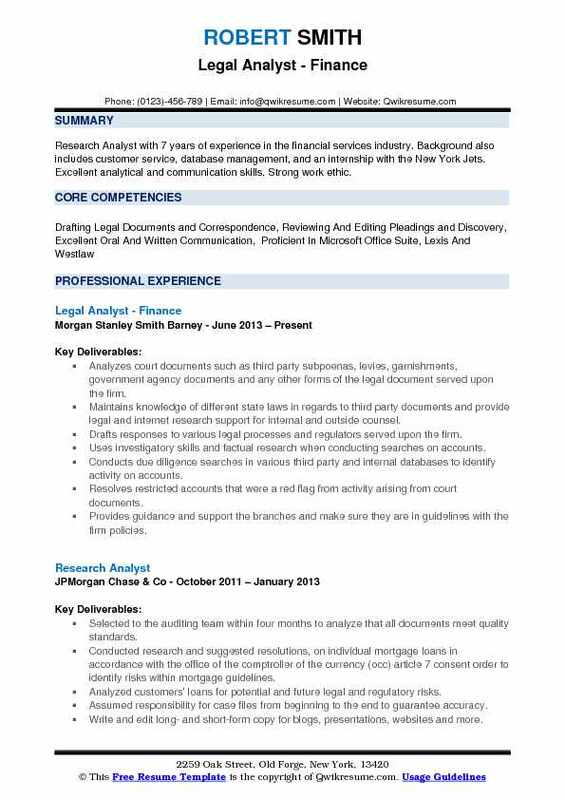 Summary : Research Analyst with 7 years of experience in the financial services industry. 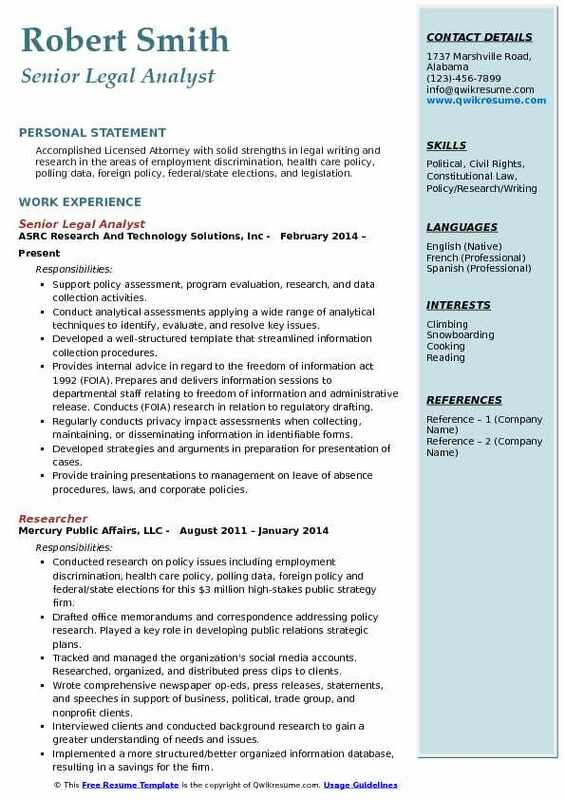 Background also includes customer service, database management, and an internship with the New York Jets. 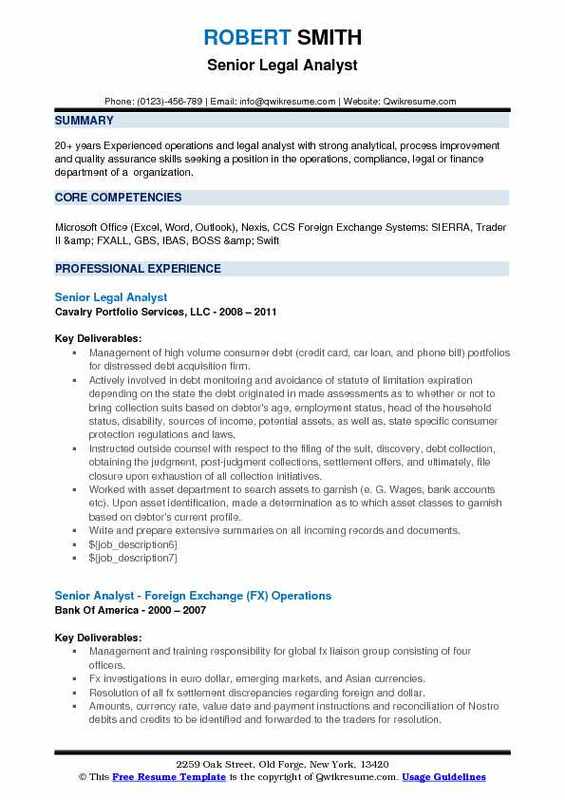 Excellent analytical and communication skills. Strong work ethic. Analyzes court documents such as third party subpoenas, levies, garnishments, government agency documents and any other forms of the legal document served upon the firm. Maintains knowledge of different state laws in regards to third party documents and provide legal and internet research support for internal and outside counsel. Drafts responses to various legal processes and regulators served upon the firm. Uses investigatory skills and factual research when conducting searches on accounts. Conducts due diligence searches in various third party and internal databases to identify activity on accounts. Resolves restricted accounts that were a red flag from activity arising from court documents. Provides guidance and support the branches and make sure they are in guidelines with the firm policies. Drafted request for discovery; discovery responses; stipulated protective orders; data release forms; motions for protective orders; motions to compel and declarations. Prepared document productions, and prepared exhibit binders for hearings. Reviewed, organized, and cataloged large numbers of documents and worked closely with the attorneys to prepare for the appeal hearings and adverse actions. Attended client meetings, as well as administrative hearings and assisted with preparation and coordination of expert witness testimony and exhibits. Created systems for managing discovery documents and gathering and tracking litigation information. Coordinated the data release of personal health information (phi) and personal information (pi) with the privacy office. Performed legal research using Westlaw, Lexis, internet, and the law library. 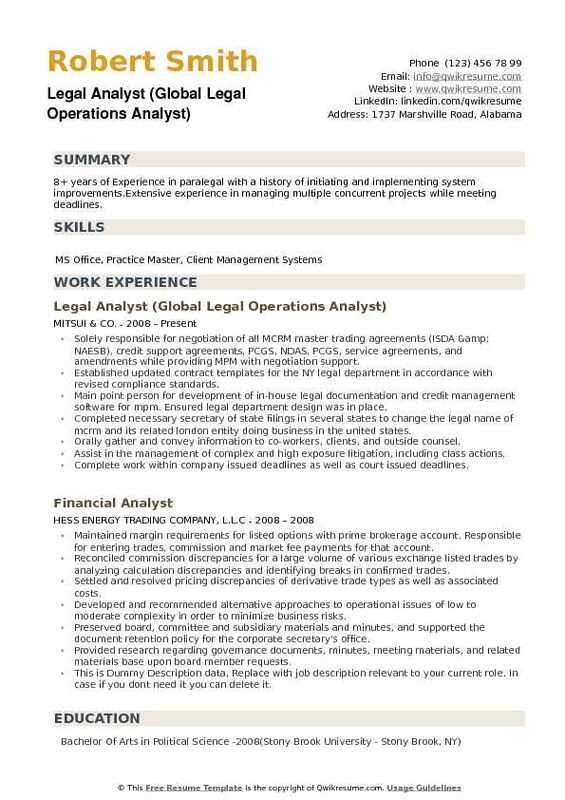 Summary : Over 20 years of paralegal experience in drafting and reviewing a wide variety of regulatory documents for accuracy, completeness, and compliance Subject matter expert in telecommunications and related regulations, including regulations and filing with the Federal Communications Commission and associated agencies. Managed projects legal compliance matters as they relate to public utilities and telecommunications. Accountable for ensuring compliance with federal and state regulations, including contract requirements. Worked directly with other company business units to ensure regulatory compliance, make recommendations and edits to legal documents prior to execution. Managed client expectations by ensuring the delivery of the highest quality services through direct communication, orally and written correspondence. Researched, reviewed and file customer complaints and service disputes with the public service commission. Reviewed new and proposed regulations for compliance and attorney reference and hearing preparation. Managed and facilitated the document production (indexed, tracked and control document discovery, including documents produced and received) in the discovery process and during administrative hearings. 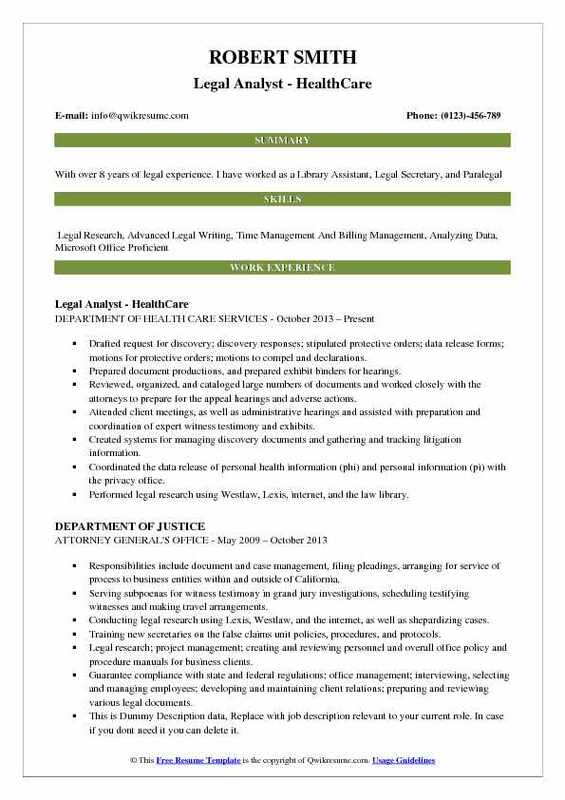 Headline : Accomplished Licensed Attorney with solid strengths in legal writing and research in the areas of employment discrimination, health care policy, polling data, foreign policy, federal/state elections, and legislation. Support policy assessment, program evaluation, research, and data collection activities. Conduct analytical assessments applying a wide range of analytical techniques to identify, evaluate, and resolve key issues. Developed a well-structured template that streamlined information collection procedures. Provides internal advice in regard to the freedom of information act 1992 (FOIA). Prepares and delivers information sessions to departmental staff relating to freedom of information and administrative release. Conducts (FOIA) research in relation to regulatory drafting. Regularly conducts privacy impact assessments when collecting, maintaining, or disseminating information in identifiable forms. Provide training presentations to management on leave of absence procedures, laws, and corporate policies. Headline : Motivated, detailed-oriented professional with seven years of direct customer service experience. With excellent oral and written communication. Provide legal and administrative support as a federal contractor with the client, internal revenue service (IRS) asset forfeiture unit. Identifying all possible sources of information; correlate with collected information and data to substantiate or refute information presently on hand. Collect, organize, and analyze legal data and summarize findings into report ensure data entered into the database is compliant with the court order. Assist with the drafting of affidavits, seizure warrants, memos and legal correspondences. Discretely handle confidential material and sensitive information while maintaining attentiveness to details. Kept current on all agency and state policies, rules, regulations, and statutes. 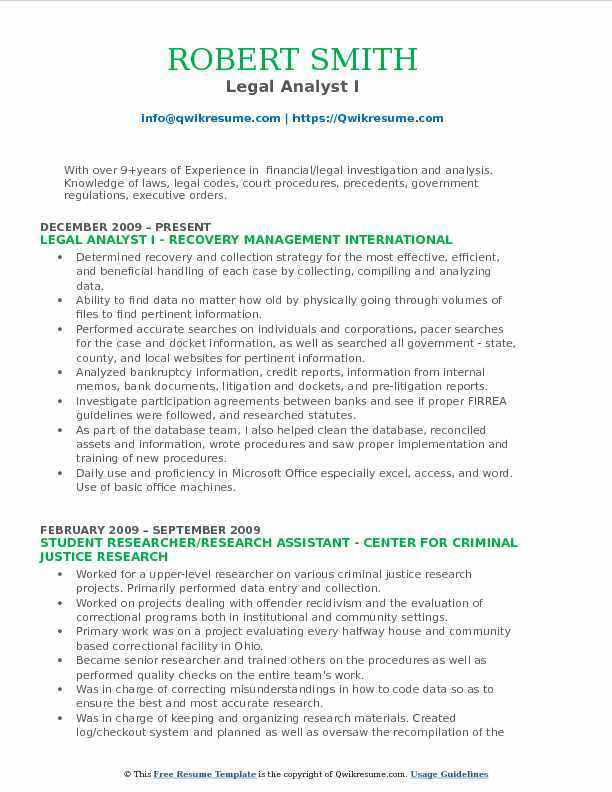 Summary : With over 9+years of Experience in financial/legal investigation and analysis. Knowledge of laws, legal codes, court procedures, precedents, government regulations, executive orders. Determined recovery and collection strategy for the most effective, efficient, and beneficial handling of each case by collecting, compiling and analyzing data. Ability to find data no matter how old by physically going through volumes of files to find pertinent information. Performed accurate searches on individuals and corporations, pacer searches for the case and docket information, as well as searched all government - state, county, and local websites for pertinent information. Analyzed bankruptcy information, credit reports, information from internal memos, bank documents, litigation and dockets, and pre-litigation reports. Investigate participation agreements between banks and see if proper FIRREA guidelines were followed, and researched statutes. As part of the database team, I also helped clean the database, reconciled assets and information, wrote procedures and saw proper implementation and training of new procedures. Daily use and proficiency in Microsoft Office especially excel, access, and word. Use of basic office machines. 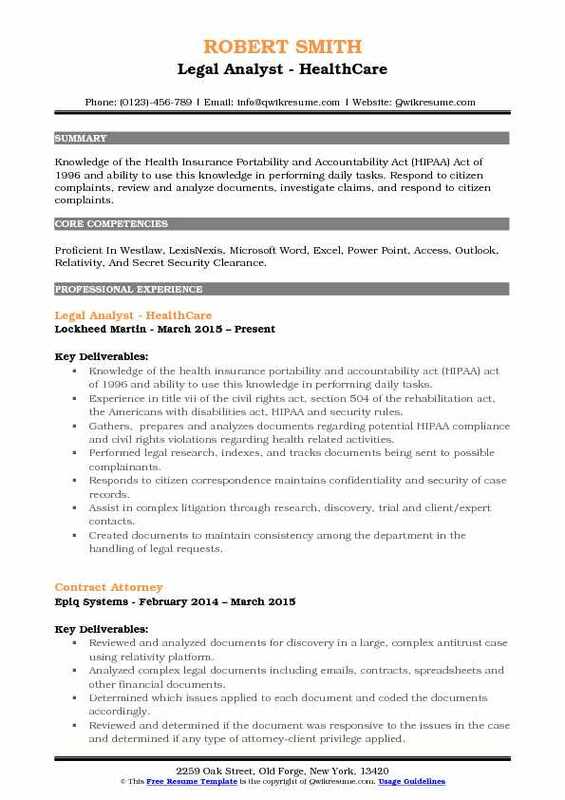 Objective : Knowledge of the Health Insurance Portability and Accountability Act (HIPAA) Act of 1996 and ability to use this knowledge in performing daily tasks. Respond to citizen complaints, review and analyze documents, investigate claims, and respond to citizen complaints. 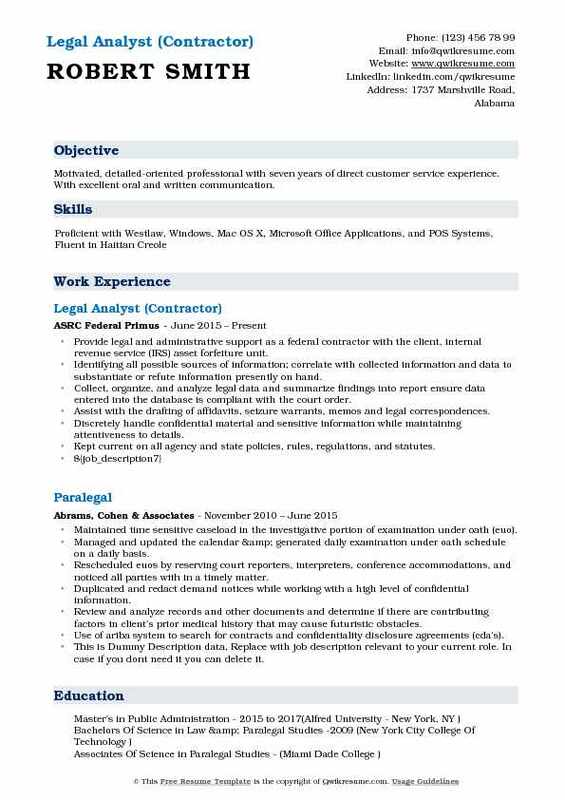 Skills : Proficient In Westlaw, LexisNexis, Microsoft Word, Excel, Power Point, Access, Outlook, Relativity, And Secret Security Clearance. Knowledge of the health insurance portability and accountability act (HIPAA) act of 1996 and ability to use this knowledge in performing daily tasks. Experience in title vii of the civil rights act, section 504 of the rehabilitation act, the Americans with disabilities act, HIPAA and security rules. Gathers, prepares and analyzes documents regarding potential HIPAA compliance and civil rights violations regarding health related activities. Performed legal research, indexes, and tracks documents being sent to possible complainants. Responds to citizen correspondence maintains confidentiality and security of case records. Assist in complex litigation through research, discovery, trial and client/expert contacts. Created documents to maintain consistency among the department in the handling of legal requests. 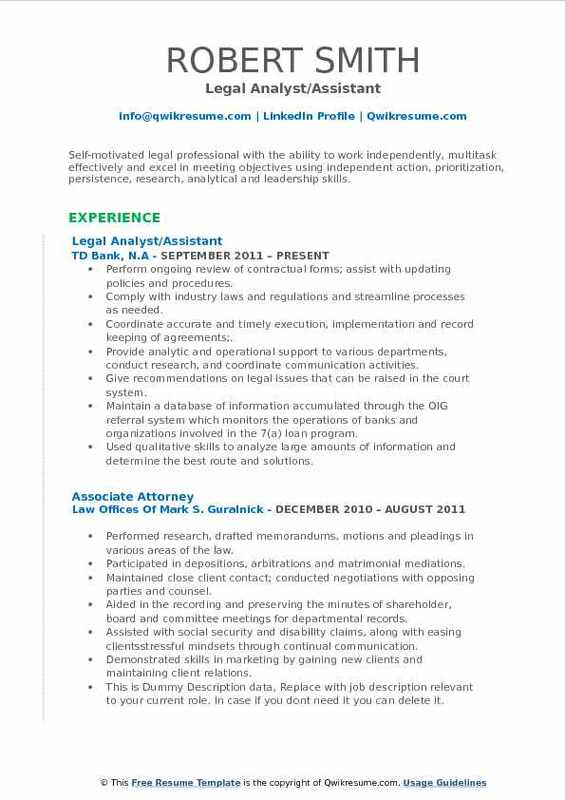 Summary : Legal analyst who have 7 years of work experience and can work efficiently and independently in addition to being a team player. Exceptional organization and time management skills with ability to solve problems, collaborate, and handle pressure. 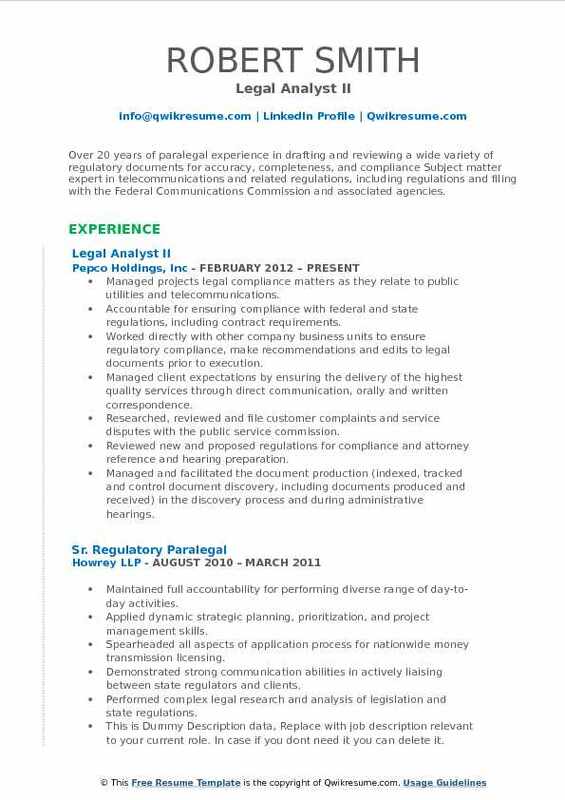 Experienced in handling auditing procedures and complex legal fraud detection and mitigation experience. Reviewed various contracts and regulatory, financial and corporate documents for responsiveness and privilege in complex litigation involving an energy and utility holding company. Exceeded the highest expectations of the firm on a regular basis in terms of review completion, allowing the trial team to meet stringent, court-mandated deadlines. Worked on decision log and privilege log, assisting with privilege production as needed. Performed technology-assisted review and QC along with the second level review. Coordinated closely with staff attorney by fielding reviewer questions on relevance and privilege. Recommended for additional casework based on exemplary performance. Proven ability to provide analysis and recommendations to management and business segments concerning legal issues that affect large groups of properties. Discussed case management strategy with clients, developed protocols for review, and initiated new training techniques for a large cross-cultural international team. 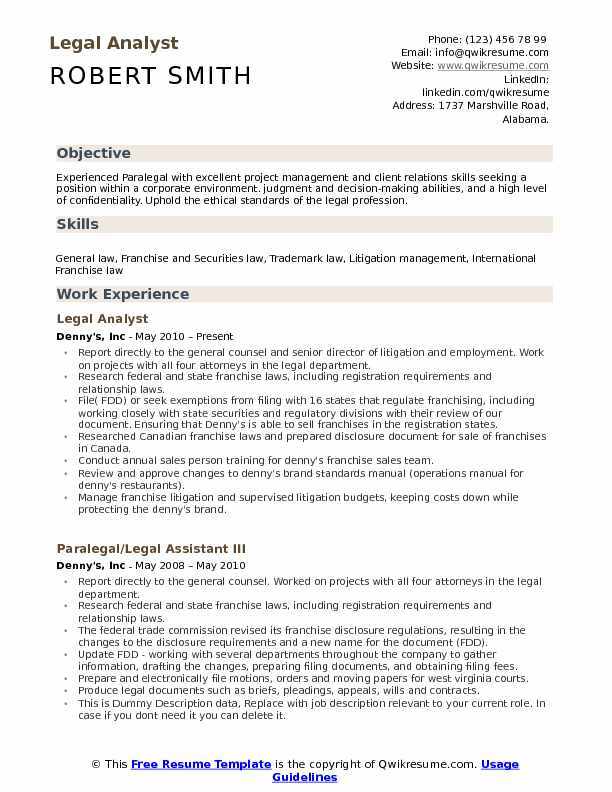 Summary : 8+ years of Experience in paralegal with a history of initiating and implementing system improvements.Extensive experience in managing multiple concurrent projects while meeting deadlines. Solely responsible for negotiation of all MCRM master trading agreements (ISDA & NAESB), credit support agreements, PCGS, NDAS, PCGS, service agreements, and amendments while providing MPM with negotiation support. Established updated contract templates for the NY legal department in accordance with revised compliance standards. Main point person for development of in-house legal documentation and credit management software for mpm. Ensured legal department design was in place. Completed necessary secretary of state filings in several states to change the legal name of mcrm and its related london entity doing business in the united states. Orally gather and convey information to co-workers, clients, and outside counsel. Assist in the management of complex and high exposure litigation, including class actions. Complete work within company issued deadlines as well as court issued deadlines. 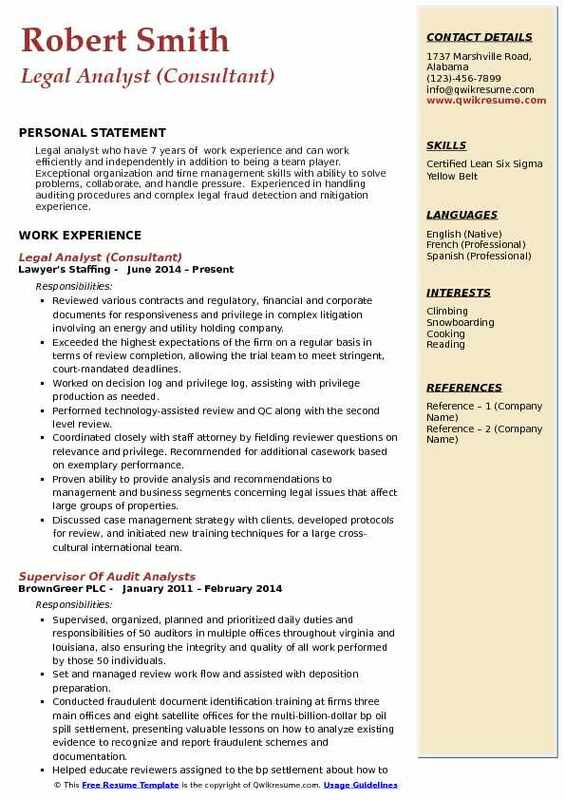 Summary : Confident, articulate, and results-oriented legal professional with strong foundation of education and over 8 years of experience working in a corporate legal environment for two Fortune 200 companies. Ability to prioritize multiple time-sensitive projects and process heavy workflow without supervision. 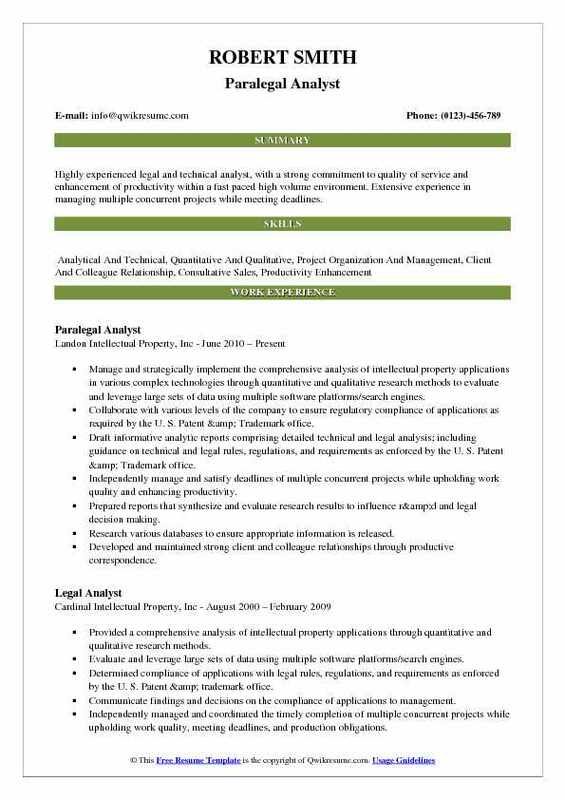 Investigated claims and provided litigation support to in-house and outside counsel, timely and efficiently managing multiple projects in a fast paced environment. Responded to discovery requests, prepared case summaries, and privilege/reduction logs. Reviewed cases for claim share with maintenance vendors and prepared tender letters. Docketed cases, conducted general and legal research, drafted legal documents and correspondence. Respond to legal requests for subscriber information pursuant to applicable state and federal law. Researched various databases for case information and investigative inquiries. Consistently met with clients in an effort to prepare them for trial, collect information, and organize them. Summary : 20+ years Experienced operations and legal analyst with strong analytical, process improvement and quality assurance skills seeking a position in the operations, compliance, legal or finance department of a organization. Management of high volume consumer debt (credit card, car loan, and phone bill) portfolios for distressed debt acquisition firm. Actively involved in debt monitoring and avoidance of statute of limitation expiration depending on the state the debt originated in made assessments as to whether or not to bring collection suits based on debtor's age, employment status, head of the household status, disability, sources of income, potential assets, as well as, state specific consumer protection regulations and laws. Instructed outside counsel with respect to the filing of the suit, discovery, debt collection, obtaining the judgment, post-judgment collections, settlement offers, and ultimately, file closure upon exhaustion of all collection initiatives. Worked with asset department to search assets to garnish (e. G. Wages, bank accounts etc). Upon asset identification, made a determination as to which asset classes to garnish based on debtor's current profile. Write and prepare extensive summaries on all incoming records and documents. Summary : Highly experienced legal and technical analyst, with a strong commitment to quality of service and enhancement of productivity within a fast paced high volume environment. Extensive experience in managing multiple concurrent projects while meeting deadlines. Manage and strategically implement the comprehensive analysis of intellectual property applications in various complex technologies through quantitative and qualitative research methods to evaluate and leverage large sets of data using multiple software platforms/search engines. Collaborate with various levels of the company to ensure regulatory compliance of applications as required by the U. S. Patent & Trademark office. Draft informative analytic reports comprising detailed technical and legal analysis; including guidance on technical and legal rules, regulations, and requirements as enforced by the U. S. Patent & Trademark office. Independently manage and satisfy deadlines of multiple concurrent projects while upholding work quality and enhancing productivity. Prepared reports that synthesize and evaluate research results to influence r&d and legal decision making. Research various databases to ensure appropriate information is released. Developed and maintained strong client and colleague relationships through productive correspondence. Headline : Self-motivated legal professional with the ability to work independently, multitask effectively and excel in meeting objectives using independent action, prioritization, persistence, research, analytical and leadership skills. Perform ongoing review of contractual forms; assist with updating policies and procedures. Comply with industry laws and regulations and streamline processes as needed. Coordinate accurate and timely execution, implementation and record keeping of agreements;. Provide analytic and operational support to various departments, conduct research, and coordinate communication activities. Give recommendations on legal issues that can be raised in the court system. Maintain a database of information accumulated through the OIG referral system which monitors the operations of banks and organizations involved in the 7(a) loan program. Used qualitative skills to analyze large amounts of information and determine the best route and solutions. 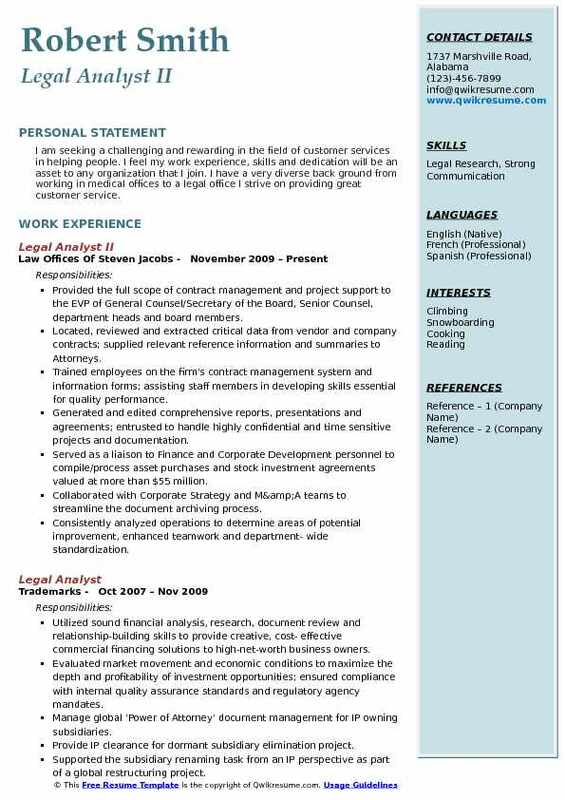 Summary : I am seeking a challenging and rewarding in the field of customer services in helping people. I feel my work experience, skills and dedication will be an asset to any organization that I join. I have a very diverse back ground from working in medical offices to a legal office I strive on providing great customer service. Provided the full scope of contract management and project support to the EVP of General Counsel/Secretary of the Board, Senior Counsel, department heads and board members. Located, reviewed and extracted critical data from vendor and company contracts; supplied relevant reference information and summaries to Attorneys. Trained employees on the firm's contract management system and information forms; assisting staff members in developing skills essential for quality performance. Generated and edited comprehensive reports, presentations and agreements; entrusted to handle highly confidential and time sensitive projects and documentation. Served as a liaison to Finance and Corporate Development personnel to compile/process asset purchases and stock investment agreements valued at more than $55 million. Collaborated with Corporate Strategy and M&A teams to streamline the document archiving process. Consistently analyzed operations to determine areas of potential improvement, enhanced teamwork and department- wide standardization.